Perhaps the greatest advantage of the modern digital era for the admirers of the type design is the opportunity to quickly view, assess and use thousands of new fonts that are released all over the world. Among the various types of typefaces, there are some that are always more eye-catching and fancy. Some that give great freedom to work and create. One of those are the layered fonts with their colors, shadows, ornaments and fills. And, of course, their main advantage – the virtually infinite number of combinations that the users can create. 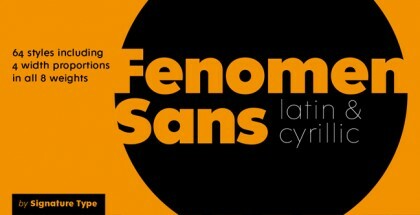 One such font is Combine – the latest typeface designed by the Venezuelan designer Carlos Fabian Camargo Guerrero. It is a modern multi-layered chromatic typeface that is inspired by the speedball letters used in Canadian posters of different events back in the 1930’s. Hence, the font family offers very rough vintage appearance that is still very fashionable and powerful. 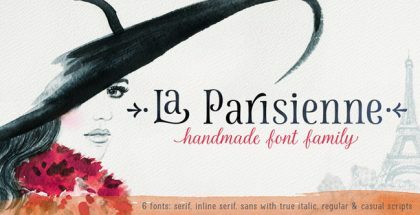 The letterforms are very legible, attractive and expressive. 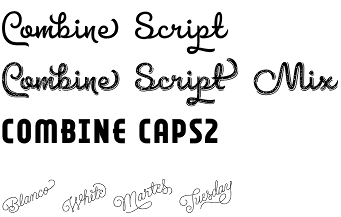 Combine font family consists of two main styles – Script and Caps that can be used with great success either separately or combined. Talking about combinations, bare in mind that a 5 font layered typeface can give you more than 100 of them. And there are none less than 12 fonts in Combine font family! Add to that the stunning 2100 glyphs per font and numerous OpenType features and you will easily come to the conclusion that this typeface can be great in many applications, both on screen and on paper. Get Combine typeface and combine fonts with pleasure!